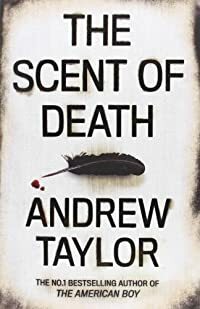 The Scent of Death by Andrew Taylor was published in 2013. I wasn’t too sure of this one at the beginning but it wasn’t long before I got right into it. The setting is 1778 New York, a city that has just suffered another devastating fire, the second within two years. Edward Savill has just arrived in the city, he’s a young clerk who has been sent from London to represent the British government, his job is to investigate the financial claims of loyalists who have lost possessions and property in the ongoing wars for Independence. Manhattan is awash with refugees, soldiers, runaway slaves and spies and it’s a dangerous place to move around in – even by day. No rebuilding has gone on as people are cconcentrating on war, not building, so large numbers of people are living in Canvas Town, a dangerous place even in daylight. Edward Savill is lodging with the Wintour family who have themselves lost an estate which is on land that has been taken over by the rebels. The Wintours are very much poorer than they had been and Edward chooses to continue to lodge with them mainly because he knows his rent money is so useful for them, but it’s not long before he realises that there are problems within the household and he suspects that a spy has infiltrated the place. Although I guessed what was going on in the mystery parts of the book this was an atmospheric and enjoyable read.